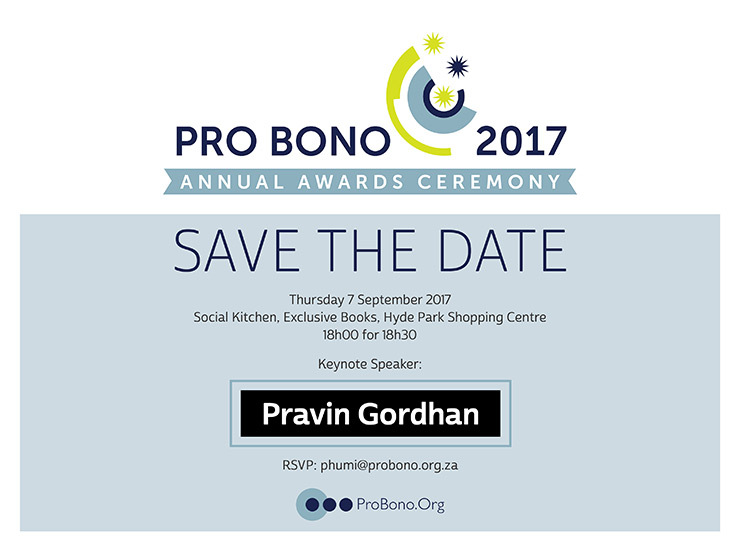 Save the date for this years Pro Bono Annual Awards Ceremony! This year we are very fortunate to have Pravin Gordhan as our Keynote Speaker. Please remember to RSVP: Phumi@probono.org.za to reserve your place at this years event.